American Legion National Commander Brett P. Reistad will award his national commander “Membership Excellence: Team 100” incentive pin to any Legion Family member who obtains three new members into The American Legion. A new member is any eligible person joining for the 2019 membership year who was not a member of The American Legion during the 2018 membership year. Each member listed must be eligible for membership in The American Legion. Forward names of Sons of The American Legion members or Auxiliary members to your detachment or unit for use in their respective incentive programs. Only one pin will be awarded per individual. Upon receipt, national membership staff will confirm the names and mail the pin directly to the person who earned it. Commander Reistad’s pin incentive program will end June 30, 2019, or when supplies are exhausted. 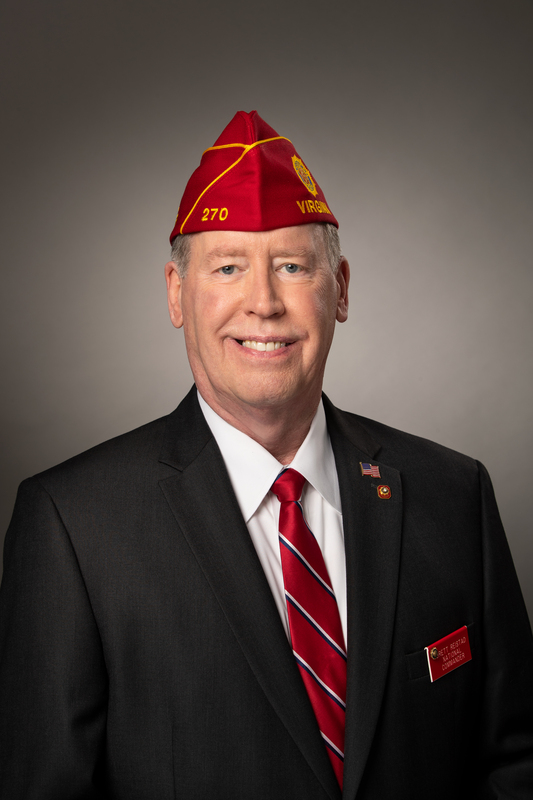 American Legion National Commander Brett P. Reistand will award his Team 100 American Legion Family Ribbon to any American Legion Family that achieves 100% membership by May 30, 2019. For this award, The Legion Family is defind as a post and any comination of an Auxiliary Unit, Sons Squadron or Legion Riders Chapter. The American Legion’s Post Excellence Awarded has added new criteria. To now qualify for the Post Excellence Award, a post is required to achieve excellence in four areas: membership, submission of the Consolidated Post Report (CPR), sharing of post history, and community activity. The purposes of this award is membership growth, exposure of American Legion values to the youth of the community, and increased visibility of the American Legion Family through service projects. A post achieving this qualification will have had numerous post members involved in planning and achieving these goals. Many posts are most likely already active in these areas and will qualify without extra effort. Others, however, will need to increase their efforts in one or more areas to qualify for the award. Membership. Post membership must be at least one member greater than the previous year. At least one post officer attends district meetings. Consolidated Post Report. CPRs must be submitted by July 1. The American Legion’s federal charter requires the submission of an annual report to Congress on activities for the year. MyLegion.org has made it simple for a post to submit its CPR in a timely manner. Sharing of post history: The American Legion’s Centennial web page (www.legion.org/centennial) allows posts to convey its legacy by sharing historical photos, videos and print material. For instructions on how to create a post profile, click here https://www.legion.org/dispatch/217282/share-your-posts-legacy. Community Activity. The post must conduct an event that connects the local community with The American Legion post. The objective is to open your doors, welcome the community in, and educate them on what The American Legion is all about and how the post is an asset to the community. Posts do not need to have a physical building to accomplish this. This activity can be held in a park, a community center, or anywhere the post can welcome and interact with the local community. The district commander responsible for the post will certify a post as having achieved the four specified criteria. The district commander will submit a list of posts meeting the criteria to department headquarters. That list should include the post name, phone number, address and commander’s name. If possible, accompany the last two criteria with copies of press releases submitted to the local media about the projects to show that the projects were not only accomplished but that an attempt was made to enhance the image of The American Legion through local media. The copy submitted should include a date and time stamp showing receipt by the media outlet. National Commander Reistad has added renewals as a way to earn his membership incentive pin. This pin can still be earned by recruiting 3 new members into The American Legion or renewing 6 members for 2019. A new member is defined as someone who was not paid for 2018. A renewal is someone who was paid up for 2018 and they are renewing for 2019. NEW Membership Incentive Program December 1, 2018 through May 8, 2019 National Commander Reistad’s new membership incentive program offers rewards for both departments and posts. Departments will receive $2,500 if they achieve 100% of their 2019 membership goal by the Armed Forces Day target date on May 8th , and an additional $5,000 will be awarded to each department that hits 105% of their goal by the Delegate Strength target date. Posts will receive $5.00 for each 2014, 2015, 2016 expired member who renews at their post for membership year 2019. After the incentive program ends on May 8, 2019, checks will be disbursed to each post through their department headquarters. To assist you in your efforts, the 2014/2015/2016 Expired members can be easily retrieved from the Report Server on myLegion. Modified Find Members in my Area – now includes last paid 2014/2015/2016. “Expire Members File” in Downloads/Miscellaneous Reports and Download folder. For posts to receive credit for renewing a 2014/2015/2016 expired member, the member must renew into their local post and use their current membership ID# found on the expired listing. Departments that hit 100% of their 2019 membership goal by the Armed Forces target date on May 8th will receive $2,500. Departments that hit 105% of their 2019 membership goal by the delegate strength date will receive $5,000. If a department does not hit 100% by the Armed Forces target date they are not excluded from being able to receive the $5,000 for hitting 105%. Post can earn $5 for bringing back expired members from 2014, 2015 and 2016. This will run until May 8th, 2019. Brand new members do not count. Renewing members into the headquarters post does not count. These expired members have to renew at a traditional post. It does not have to be at their previous post. These lists will include expired DMS members as well. These members will need to be transferred into a local post and then renewed for the post to receive credit. Keep in mind their membership ID will need to be used for tracking purposes and to receive credit. These lists can be downloaded through myLegion. Checks will be presented during the Spring National Executive Committee Meeting in Indianapolis.